You can define the exact stages your tickets can go through — the columns in Board View. 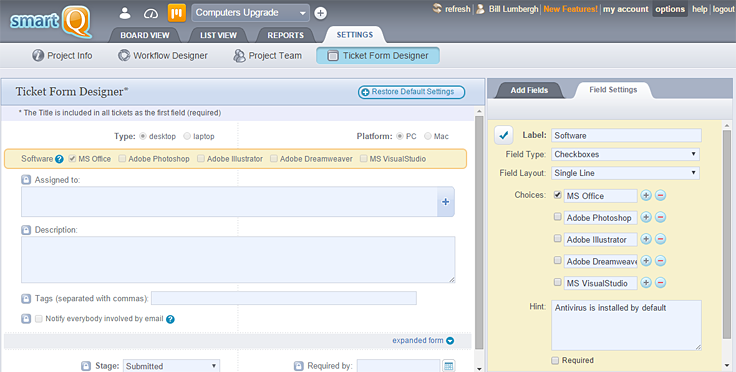 This allows you to customize your projects to fit your specific workflows, each project representing a separate one. 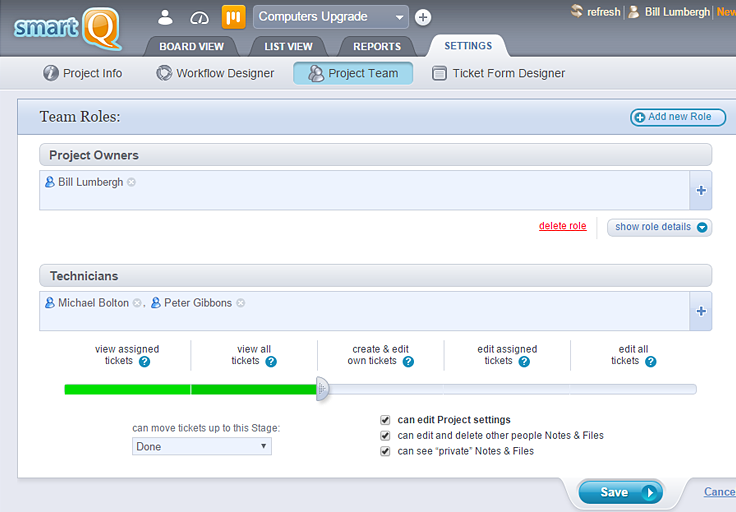 You can build specific ticket forms for each project via a simple drag-and-drop interface. This is, probably, one of the most powerful features smartQ has to offer. Multiple field types are supported. You can also mark which ones are required, add default values, hints, etc. You can also customize the project team roles and create new ones. There are multiple rules and restrictions you can apply to each role, down to the stage-column it is allowed to drag tickets to. There is also "Everybody Else" role where you can define the access level for people not assigned to any other role. For example, you can define access rights for a project for anybody, without adding them to the project (useful for expanding teams). Or you can hide the whole project from people that are not part of any project roles. NOTE: Administrators have full rights, no matter of the role they belong to.